After finding love, a way of life and deep connections in Texas, Luke Quinton made the fateful decision to move back home. He found more than he expected on his return. It's strange being born on an island where one of the ancient pastimes is debating whether we should live on the island at all. Each generation of Newfoundlanders gets its own "holy crap" moment. We got the egotistical folly of Muskrat Falls; they got the cod moratorium and $22 million worth of useless cucumbers. Earlier generations got the Great Fire, collapsed banks and a railroad that almost bankrupted us. Enter the editorials: "Abandon ship immediately, you fools," writes one reporter on his way out. "I'm actually fine with starving if that's what it takes!" says a filmmaker who's moved back. I'm hoping there's a middle option, because after more than a decade and a half in the United States, I just moved home, and I'd just as soon avoid starving to death. When I was 20, I caught a plane to Texas because I was in love with a girl. America was about to lose its mind and invade the wrong country. Our roommate was — inexplicably — all for it, and I had a lot to learn. I finished school, started working as a reporter, eventually got married to that woman. 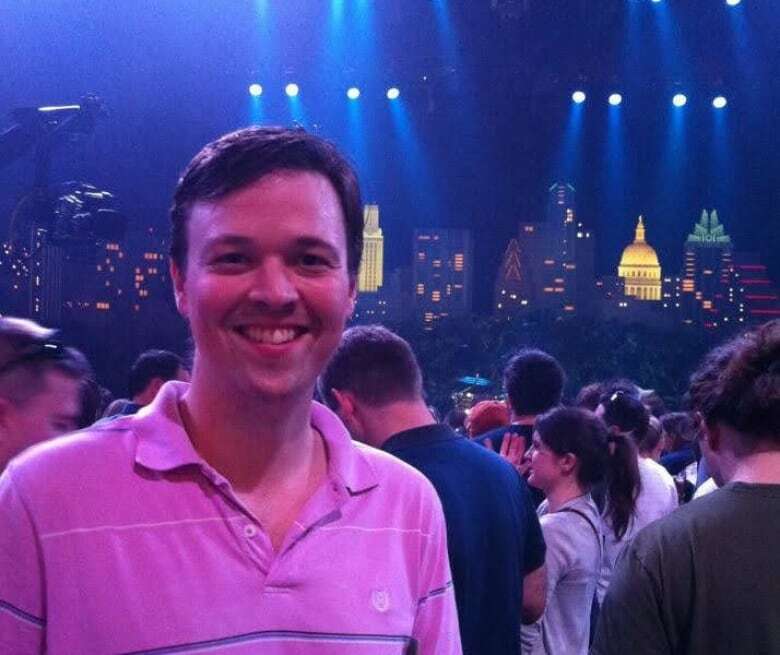 We lived in Austin, a city where my mom, a Texan, had lived after college — a town of dive bars and tech money, made famous by Willie Nelson and Janis Joplin. Austin started exploding. Ninety people moved in every day, a generation pulled in by music festivals, progressive politics and cheap tacos. Ideas started there and went out into the world. If not us, then who's gonna take care of this place? It felt fascinating. In college I knew an ex-traveling preacher and a woman who hunted deer with bow and arrow. As a reporter, I interviewed Tea Partiers, got tutored by peach farmers and was chewed out by military press officers. My wife and I fried and froze in the Chihuahuan desert, swam in teal Texas rivers, protested at the state capitol. We got late night drinks in New York, caught art shows all over, and danced to Tejano music at Gulf Coast weddings. Entire years just rifled past. Years ago, I was showing a bunch of young Newfoundlanders on work terms around Austin's bar district. One had just flown in and he was vibrating with energy. "I'm moving here!" he told us. He'd been in Texas for less than a day. That's how it happens. You blink and spend half your life living away. Texans are shockingly friendly, and also a little guarded. Dropping by unannounced is not something they love, no doors are left purposely unlocked. A booming economy is the only kind most remember. At one of my first jobs waiting tables, the other servers were curious where I was from, and one went to the office computer and looked us up. "Whoa, 16 per cent unemployment rate — man, what is that about!" I mumbled something about the fishery, and felt embarrassed, exposed. I'd never heard our island so out in the world like that, reduced to a number. Everything about Newfoundland calls to you when you're away. When the heat reaches 108 F (that's 42 C), you'd kill for a North Atlantic wind. When you're lonely, friends back home are at an epic house party. It can be a desperate feeling. I was happy exploring, but I always told people I'd move back some day. So last September, after a decade and a half as a Texan, I found myself wading through walls of steam, packing a U-Haul with everything my wife and I owned. After so many years in that energized, inhospitable country, I felt nervous, thrilled, exhausted … and a little sad. I was going home at last. Here's the thing. 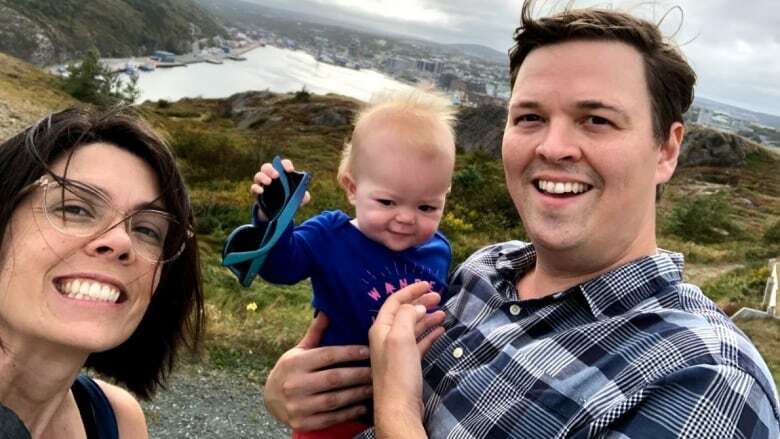 After months of planning and upheaval, quitting jobs and being buried in customs paperwork — after years of pining for home — once I got back to Newfoundland I wasn't actually sure I'd made the right call. I was never one of those Newfoundlanders who couldn't wait to leave. I love almost everything about this place, and always did. I came back most summers and every Christmas. I thought I was still deeply rooted here, but this fall I realized how shallow some of those roots had become. Newfoundland hadn't actually been my home in a long time. I'd just been making a pilgrimage. It felt strange. Like I was watching myself live someone else's life, a mash-up of me circa 2002 and me right now — except now I'm a different person. The excitement I usually had on quick trips was missing somehow. The writer Rebecca Solnit says "arrival, like origin, is a mythical place." I'd plunged back into the myth. I didn't realize how much I'd miss Texas. Hearing crickets in surround sound. Being absolutely pummelled on my bike by tropical rain. Cockroaches and unimaginable bugs trying to devour you. Jumping into rivers. Wearing flip flops and a t-shirt. The discrete pleasure of staring at an endless desert. Now, curving around Windsor Lake, I see the peak of a hill that I grew up with being slowly flattened by a gravel company, one load at a time. Behind my parents' house in the woods, I hear cars buzzing on the Outer Ring Road. Suburban malls everywhere. This is the kind of thing I was trying to put behind me. I felt cold, out of place, and unsure about moving our little family back to my home. It was winter that helped me figure it out. We met new friends who invited us to birthday parties and radio bingo. I saw the ocean churning so fierce it swept me with goosebumps. Had a frozen pond completely to myself. I got ideas about new work to make. I forgot this island runs on word-of-mouth. Email? I'll get back to ya the week. But ask and you've got gardeners, birders, interview subjects, office space, and a guy to fix your car in no time. I love that. 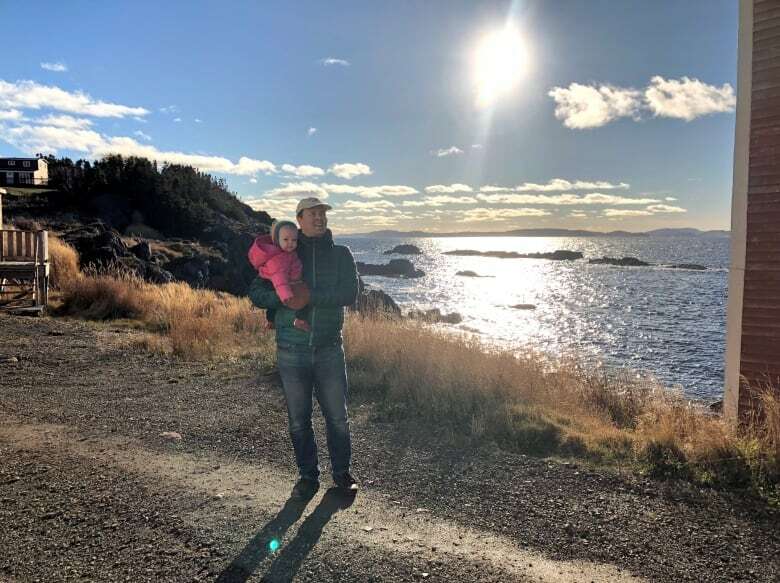 Ironically, while Newfoundlanders debate why we live here, my Texan wife and our daughter are finding the answer everywhere: the changing seasons, the wonders of snow, life next to a roaring ocean. Canada, says my wife, is gentler, less raw than the States. I'm getting used to being a Newfoundlander again. Getting used to seeing my junior high science teacher at the coffee shop. Used to wearing pounds of clothes instead of prancing around in a t-shirt. Used to how the light looks here, to catching Proustian reminders around every corner. I admit my wife and I lost some things in the move. Heat that hits you on a molecular level.Food so spectacular and cheap, sometimes we start listing the restaurants and bars we miss. Diverse cultures, art. Reasonably priced wine. We both stepped away from rituals, careers, and friends. A life. 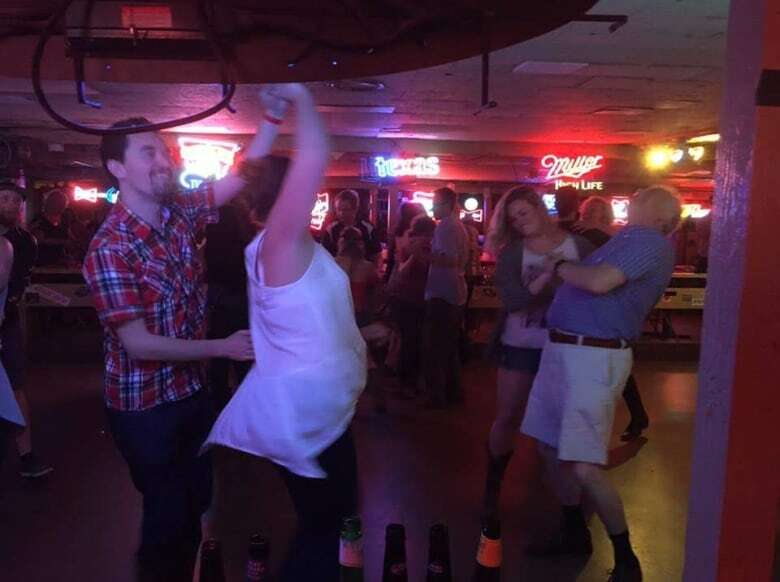 Austin's been called "the place young people go to retire." It's a city full of open minded, easy going charmers. It gets 300 days of sunshine a year. But time was up. I could marvel at the ingenuity and prosperity, except I was constantly unsettled by the non-stop advertising, drivers trying to kill me, and the flat-out exploitation of people like teachers, women, and migrant workers. Our daughter's birth cost $5,000, and that was with insurance. The poison of Republican politics. These injustices were an almost daily psychic injury. Trump is just the cherry on top. Life is short. The last April I spent in Newfoundland was 2002. My grandmother, who asked at every visit, "Will you ever live in Newfoundland again?" lives in Toronto now. Every one of her brothers and sisters are gone. Our connection to Bonavista Bay is fading. I brought home some cautionary tales, but some lessons, too. So much of Texas's thriving economy was just building the kind of cities and towns young people wanted to live in. Almost every good thing flowed from there. We should ask for more, and better. Press government, developers, and our neighbours for better work, smarter investments, and more responsive policies, until we make this into the place we want it to be. Not for visitors, but for us. The other day, at a cafe on Water Street, I heard a man list all the places in the world he had lived. "I have nobody left here, only a brother," he told a couple. "It's nice to come home, though." I'm glad this won't be true for me. Some memories will stay with me until the day I die. The way Mom always waved when I left for the plane, until we were all the way down the long driveway, fully out of sight. I cried every time. I remember Dad dropping me at the airport (after parking in a location of questionable legality) and waiting on the other side of the glass wall to give me a goofy thumbs up. One time I saw him just as he turned. I called out, but he never heard. I watched, lump in my throat, until he disappeared. Another six months apart. I wanted to move home years ago but let things get in the way. Maybe I'll carry those regrets to my grave. But it doesn't matter now. I moved back to try and make up for them. Sometimes getting what you want feels different than you expected. I'm still surprised when Dad just drops by the house, and I'm sure the feeling is mutual. But it's casting everything in a new light. I was driving the other day — Signal Hill in the distance — when it hit me. I don't really know much about this city, or this island, anymore. In some ways it looks the same, but below the patina are new people, new art, new ideas to seek out. I can't think of a better reason to be here. Luke Quinton is a writer and audio producer living in St. John's.